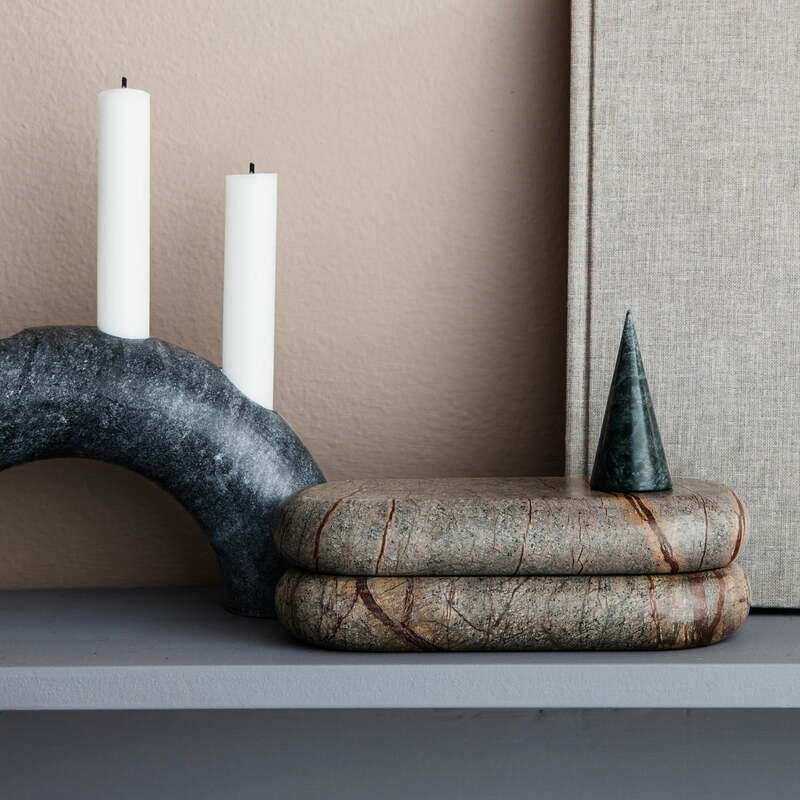 The decorative marble trees from ferm Living in a set of 3 are a beautiful and modern alternative to traditional Christmas decorations. Despite their reduced conical shape, the three trees bring a piece of nature into your own four walls. The decorative trees are available in different sizes and colours, all made of solid marble. This creates a small marble forest within the group, which will be an eye-catcher in the living area for both Christmas and the rest of the year. Each tree is absolutely unique thanks to the marbling. 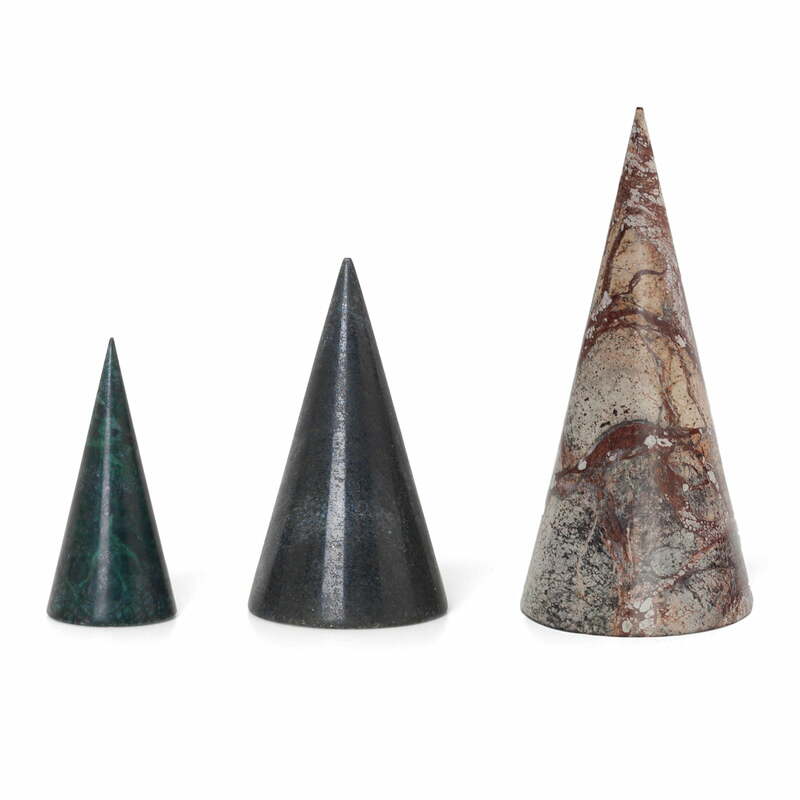 The decorative trees are available in different sizes and colours, all made of solid marble. This creates a small marble forest within the group, which will be an eye-catcher in the living area for both Christmas and the rest of the year. 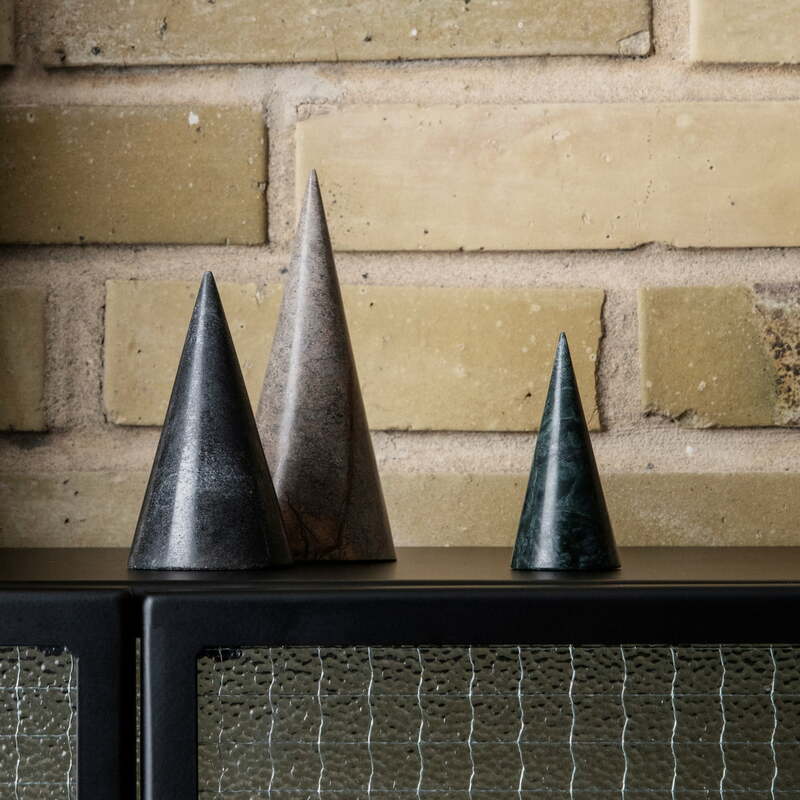 Lifestyle product image of the marble decorative trees and the Bendum Box from ferm Living. Box and trees are made of marble and provide a noble accent in the living area.